For decades, if you were applying for a mortgage, you were provided with a Good Faith Estimate and a Truth in Lending form to review the interest rate and costs being offered. As the housing industry began recovering from the damage of the 2008 mortgage crisis, thousands of pages of new legislation were introduced to make sure homebuying consumers were educated about the features of loans they were taking out. The Consumer Financial Protection Bureau was created to enforce the new laws, and given the task of creating simpler disclosure forms to better inform aspiring homeowners to make prudent mortgage financing choices. 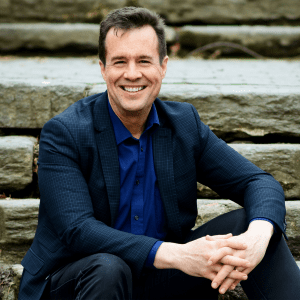 After collaborating with a communications firm and compiling hundreds of pages of research, the Loan Estimate was introduced as the replacement to the Good Faith Estimate and Truth in Lending. “Know Before You Owe” is the catchphrase the Consumer Finance Protection Bureau adopted to encourage mortgage consumers to educate themselves before committing to any home loan product. 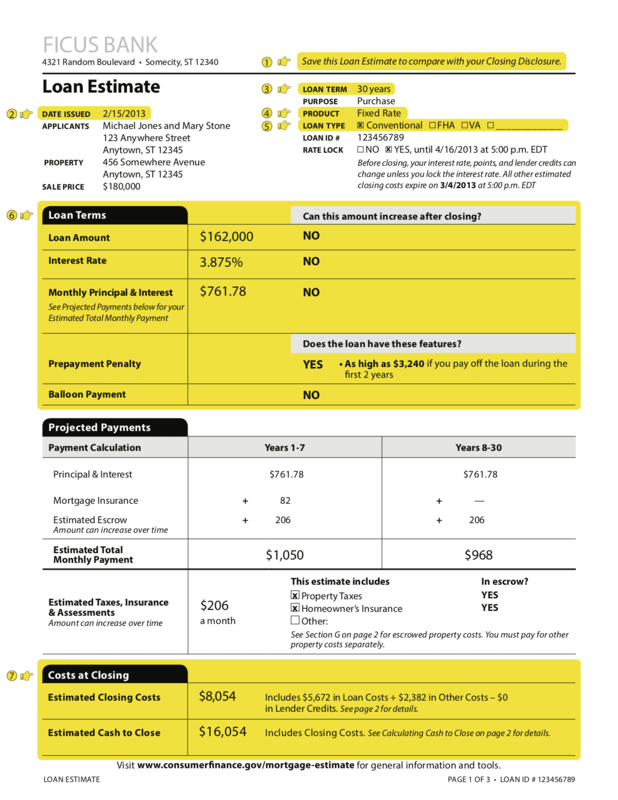 The new three-page Loan Estimate form provides a wealth of detailed information, but it can be daunting to understand the first time you see it. There are 10 things you need to know to use your Loan Estimate as an effective shopping tool. You’ll also use this form to double-check against the final Closing Disclosure you receive three days before closing. Focusing on these items will help you accurately compare the important information, and prevent surprises at the closing table. This phrase is italicized and featured in the upper right-hand corner of the first page of your Loan Estimate. Most people will gloss over it, but it is integral in making sure that your lender has honored the rates and terms that were quoted on the initial Loan Estimate. There shouldn’t be much difference between the Loan Estimate you get at the beginning of the loan process and the closing disclosure. This is just supposed to be a finalized version of the Loan Estimate, that you get three days before closing. If there is a big difference, you should know about it long before you’re at the closing table. This might seems like a trivial thing, but the date of your Loan Estimate is critical to effective loan shopping. If you are comparing Loan Estimates with different dates, the results are meaningless. Rates fluctuate on a daily, and sometimes hourly basis. There is an entire mortgage market that trades instruments called mortgage-backed securities (MBS). Much like a stock, the price of an MBS changes with market conditions, and as the prices change, the related mortgage interest rates rise and fall. If you get an estimate from a lender on a bad trading day, and then get an estimate from another lender on a good trading day, you haven’t compared apples to apples. You may end up writing off the first lender simply because you contacted them on a day when rates were higher for all lenders. This is another important factor when comparing interest rates. The longer the term of your loan, the higher the interest rate. You might get a low rate quote from a lender, only to learn that they are quoting a shorter term. Another way to make rates look lower is to quote an adjustable rate loan. If the product on one Loan Estimate says “fixed,” while another lender’s cost estimate is “ARM,” which is an acronym for adjustable rate mortgage, then you aren’t comparing the same type of product. You’ll want to discuss the kind of loan you are eligible for before you start getting Loan Estimates. Interest rates for government programs like FHA loans and VA loans tend to run lower than conventional loan programs, so make sure the products all match. Make sure the loan amounts are the same on all the cost estimates, and then you get your first snapshot of one of the most important components of a mortgage loan — the interest rate. The principal and interest payment will be next, but keep in mind that’s not your full payment. 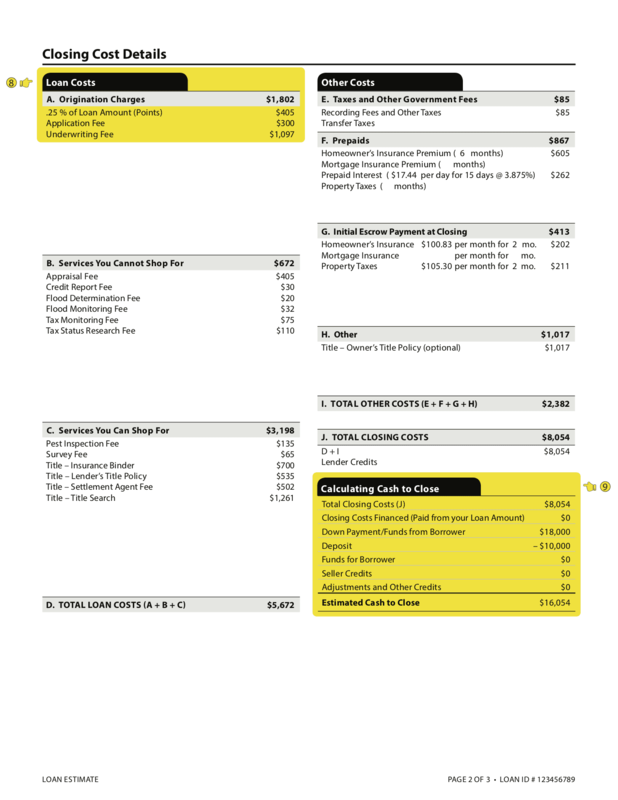 The next section called “Projected Payments” will add the property taxes and insurance for your total payment. The reason it doesn’t make the top 10 things you need to know is the amounts will ultimately be the same no matter which lender you choose, so a difference in escrow amounts isn’t a significant factor when comparing lenders. This is another important comparison point on the Loan Estimate. However, it’s not the be-all, end-all. One important thing to look for here is any lender credit you might be getting. That means some of your closing costs are being paid by the lender, which is a good thing, as long as it doesn’t mean your rate is being increased substantially to pay the costs. You don’t want to make your decision about who has the lowest costs until you get to the next section, and see the itemization of which costs are actually related to the lender. The loan cost sections A and B are the ones that should get your attention when comparison loan shopping. The rest of the fees on this page will be the same regardless of which lender you choose — don’t forget to subtract any lender credits from #7 above, or you might be missing out on a really good price quote. Origination charges are what the lender charges to obtain your loan and often include fees for underwriting, document preparation and other fees involved in approving your loan. This section may also feature discount charges if you are paying points to get a lower rate, but in most cases, you will be comparing the origination charges. These are fees the lender contracts out to third-party vendors like appraisers, credit reports, flood certification companies and tax service providers. These are true lender costs and the total of the origination fees and services you cannot shop for forms the basis of the total costs of doing business with a particular lender. This number shows up at the bottom of page 1, but it’s much more valuable on page 2. This is where all of the itemized math is provided for you to review. The other sections, services you can shop for, taxes and government fees, prepaid interest and your initial escrow payment at closing are important to your total bottom line, but they shouldn’t be the basis for comparing lender Loan Estimates. These will all be the same regardless of the lender you choose. The title company fees are fees you can shop for, although on purchase loans, the seller often chooses the title company. All the fees related to your property, such as the taxes, homeowners insurance, prepaid interest, and escrow setup funds will be the same. There was a time when people would skip the itemized cost estimate and immediately check the APR section. There’s a problem with this approach though — there are fees that make up the APR calculation that have nothing to with the loan. The escrow or settlement fee is one of those fees. APR is a good guide for comparison’s sake, but nothing takes the place of getting out the old calculator and manually adding the loan cost section up yourself. The other wild card with APR is private mortgage insurance. Not all lenders have access to the same mortgage insurance companies. Some are more expensive than others, and some may have a markup for factors like high-debt ratios. If there’s a difference in the mortgage insurance, you’ll see it in the section under loan terms referenced in #6 above. One of the safeguards implemented by the Consumer Financial Protection Bureau is a 0% tolerance level for changes to your loan fees after a Loan Estimate has been issued, and only a 10% tolerance for fees from companies that you weren’t allowed to shop for. 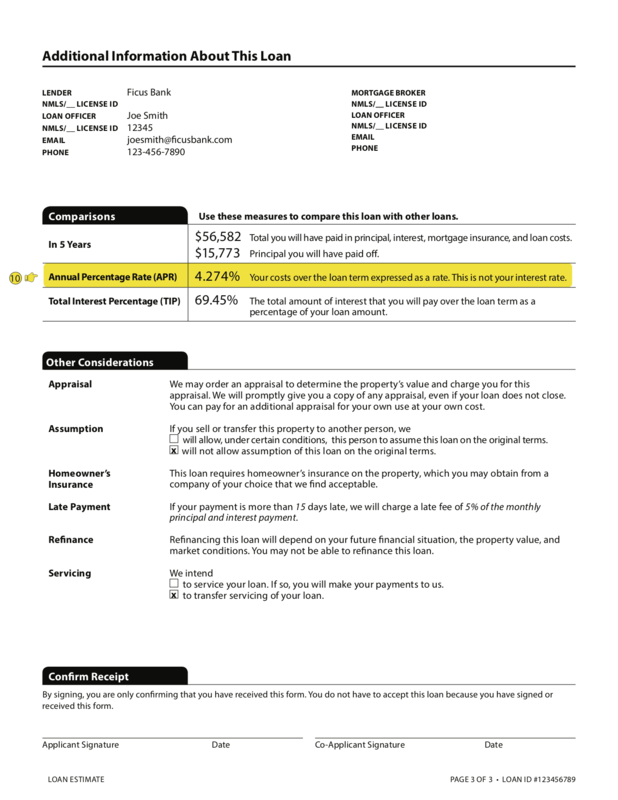 As far as lender fees are concerned, your origination, appraisal, credit report and discount fees cannot change at all unless there is a valid change of circumstance (explained below) related to something that wasn’t known about your credit, property, loan type or a number of other factors that may be revealed during the loan approval process. Depending on the state you live in, transfer taxes may be payable. Again, lenders have to disclose these fees to you accurately, or they will end up needing to pay them on your behalf at closing. If you weren’t allowed to choose the title company you are working with, then the final fees can’t exceed the original cost estimate by more than 10%. There is no flexibility for lenders on these tolerance levels, so the chances you’ll have a surprise with these costs is virtually nil. Keep in mind that property-related costs like escrow accounts, property taxes and homeowners insurance premiums have no tolerance limit since those are related to the property you are buying or refinancing. Although the loan officer should have a general idea of what these costs are when the Loan Estimate is issued, if the amounts verified are much higher, the loan officer is not subject to paying the difference. If you change your mind about your loan type and switch from a fixed rate to adjustable rate, then a new Loan Estimate will need to be issued so you are informed about how the rate will change over time. The same is true if you switch from a conventional loan to an FHA loan, which is sometimes the case if your credit and income are not strong enough for a conventional approval. This can include making a higher down payment or finding out that the source of some of your down payment is not permissible, resulting in an increase in your loan amount and possibly the addition of mortgage insurance if you end up making less than a 20% down payment. If you’re doing a refinance, a lower appraisal could mean either you have to change your loan amount or you have less equity, which may affect the price of your interest rate and require you to pay mortgage insurance. On a purchase, your loan amount would have to be adjusted to compensate for the lower appraised value. Your rate is not automatically locked in at application, and you should discuss when you want to lock your loan with your loan officer early in the process to avoid any sudden changes. Interest rates change daily and sometimes hourly, and an unlocked rate creates the risk that you’ll end up paying more in interest and fees. Request your lock-in at application, and get a confirmation of your lock in writing. The best way to avoid any changes to your Loan Estimate due to loan term, type, loan amount or a locked-in interest rate is to make all these decisions when you make your final choice of lenders. Low appraisals aren’t something you can control, but all of the other factors are so commit to those terms upfront to avoid getting frustrated by a change in your rate in fees. Although very rare in loan products today, the CFPB created this section to let you know that lenders are allowed to charge prepayment penalties. A prepayment penalty charges you an interest penalty if you pay it off within a certain period of time. This feature usually includes a lower rate for a fixed period, followed by the entire balance of the loan coming due and payable at one time. Balloon payments are very rare in residential mortgage lending, but again, since the CFPB allowed this section to be added to the Loan Estimate, lenders are allowed to add this feature to their loan products. The final version of the Loan Estimate is the most important document you’ll review before your closing — it becomes the closing disclosure detailing the final terms of your loan. Just like the Loan Estimate, you’re required to receive it at least three business days before your closing. If you’ve followed the top 10 things you need to know about your Loan Estimate, there will be very little reason for changes that you don’t know about. If there are, the law provides you with recourse, including recovering damages up to three years after closing with an improperly prepared closing disclosure.